A seasoned advocate and problem solver, for over 25 years Bruce McMeekin has helped organizations and their directors, officers, and employees minimize their exposure to liability under regulatory and criminal law. Whether the issue is environmental, workplace safety, competition, securities, tax, anti-money laundering or allegations of fraud, breach of trust or corruption, organizations subjected to government inspections or investigations can be confronted by any number of administrative and penal sanctions, including demands, orders, warrants, inquests, public inquiries, penalties and prosecutions. Bruce McMeekin guides clients out of the minefield, negotiating where appropriate, litigating when necessary, always cost-effectively and guided by each client’s particular interest. As a public inquiry lawyer, Bruce’s experiences include co-counsel to the Town of Brockton (Walkerton) in The Walkerton Inquiry and more recently as counsel in the Supreme Court of Canada in R. v. Castonguay Blasting, an appeal focused on when the statutory duty to report pollution is engaged. As an inquest lawyer, he has also represented parties in a number of Coroners’ Inquests, having acted for police services, employers and institutions. Increasingly, he has been retained by organizations regulated under the proceeds of crime legislation and subject to Financial Transactions and Reports Analysis Centre of Canada (FINTRAC) audits and administrative monetary penalties. Bruce has been recognized in Canada’s Best Lawyers (since 2013) and Lexpert’s Leading Practitioners (since 2013). He has a peer reviewed rating of BV Distinguished in Martindale Hubbell. 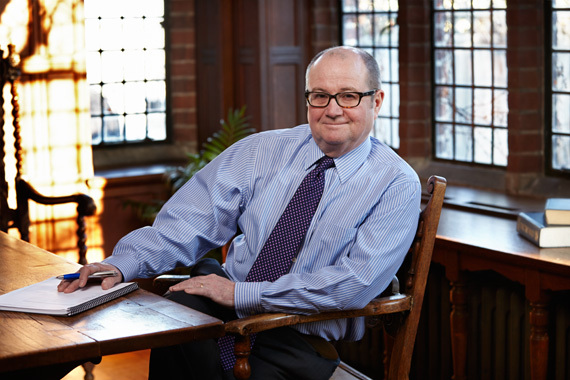 The author of over fifty published articles concerning issues of regulatory and criminal liability, Bruce is a frequent speaker at seminars and proceedings hosted by the Law Society of Upper Canada, the Canadian Bar Association, Federated Press and the Canadian Institute. He is a member of the Editorial Committee for Corporate Liability, a quarterly Federated Press publication. Active in the community, Bruce is a Director of the Markham Board of Trade after having served as the Chair of the Board’s Government Affairs Committee from 2008 to 2012. He is also a past president of the Rotary Club of Markham Sunrise and was recognized as a Paul Harris Fellow in 2009. He chaired the Markham Rotary Ribfest Organizing Committee from 2011 to 2013. Bruce was called to the Ontario Bar in 1989. He graduated with his LL.B from Dalhousie Law School (1987), after having obtained M.A., Queen’s University, Political Studies (1984) and Hon. B.A., Wilfrid Laurier University, Political Science and Economics (1982).